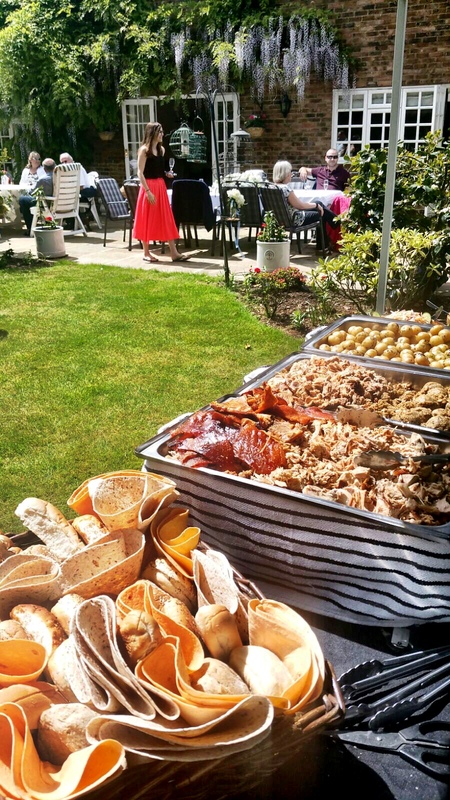 Hog Roast Sheffield has decades of experience in catering all kinds of parties and events, from wedding receptions to corporate functions and milestone birthdays to retirements and so much more. 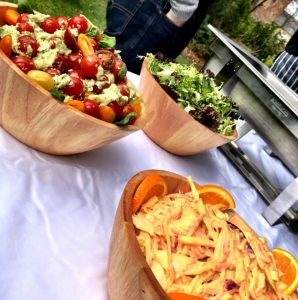 When you’re organising your own personal party or a business event, you need to know that you’re in capable hands when it comes to catering, and we’re renowned for making lovely, tasty food while also providing first-class service to our customers. Our dedicated team of professionals will impress you from start to finish, from when you’re talking us to about options and then booking us in, to when we’re clearing away at the end of the day. We’re also highly flexible when it comes to our food, as we don’t only cook delicious hog and spit roasts – we also offer various menus for you to choose from, with alternative and additional options so that everyone gets to enjoy our food. We believe in offering our customers plenty of variety and choice; after all, when it’s your party, it should be your choice of food and not ours. 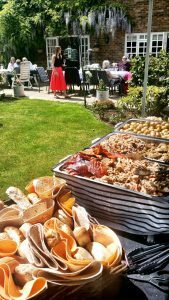 Nevertheless, you may also need certain diets catering and Hog Roast Sheffield can easily do that too, as we have years of doing so already. If you need a vegetarian dish, our chefs can make a burger, quiche, stuffed mushrooms or peppers or our popular veggie skewers – and we can make many of those dishes vegan if needed. Gluten-free guests can enjoy our amazing pigs in buns just like everyone else, as we can bring along suitable bread rolls (all other ingredients are already suitable). You may want to add extra dishes to suit personal tastes too, like a whole salmon, barbecued burgers or some of our marinated meats. Whatever you desire, we can help you create the menu of your choice. From the amazing feedback to the repeat custom that we get from satisfied customers, it’s clear that Hog Roast Sheffield makes the best hog roasts in town. We lovingly prepare top-quality, local meat by scoring it and covering it with water and salt, and then roast for hours on end until we get a perfect end result. You can smell how good it is, it looks mouthwatering and then the taste confirms this and after your first bite, you’ll certainly be going back for more.